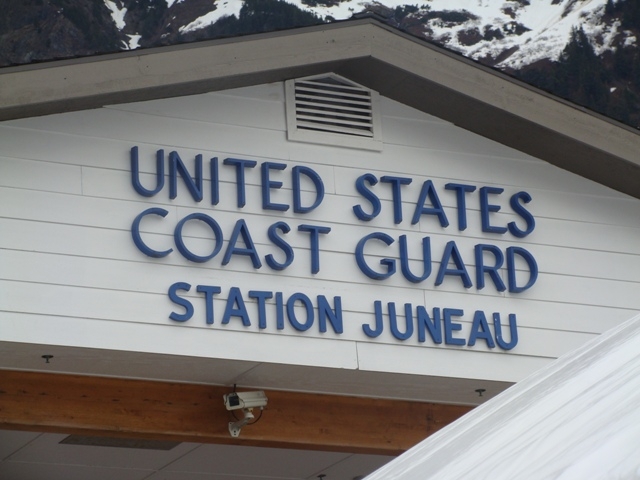 Coast Guard Station Juneau. KTOO File photo. The strait is south of Chichagof Island and north of Sitka. Officials said four people were aboard the 41-foot recreational vessel Pirate Son. The passengers called the grounding into the Coast Guard around 10:30 a.m. None were injured in the accident. Coast Guard Petty Officer Kelly Parker said the Alaska State Troopers reached the vessel first. “It was actually a state trooper vessel that was actually on scene — state trooper vessel Courage,” Parker said. Coast Guard officials said state troopers made contact with the vessel about 20 minutes after they received the distress call. Parker said the troopers gave the Pirate Son’s operator a breathalyzer test but didn’t find any trace of alcohol. Troopers helped the four passengers transfer from the grounded vessel into their own skiff which they took to Sitka. The Coast Guard did not know the Pirate Son’s homeport. Juneau Docks and Harbors said the vessel was not moored in any local harbors on Saturday. Sitka’s Harbor Department could not be reached for comment.